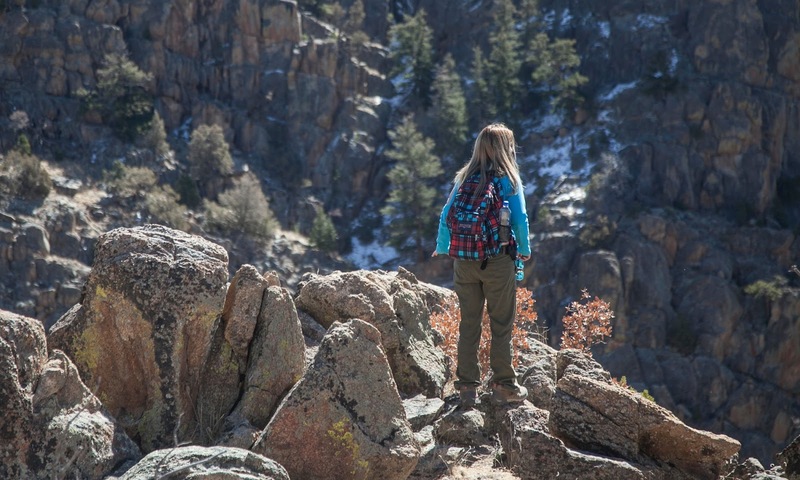 The pair had come to this starkly beautiful place, at the base of the Sangre De Cristo mountains, to hunt for a treasure rumored to be worth upwards of $2m. Johnston, a 37-year-old real estate agent from Albuquerque, had invited the Guardian along on a search for a 10in-by-10in box of gems, gold, cash and precious antiquities that an eccentric millionaire named Forrest Fenn says he hid somewhere in the Rocky Mountains in 2009. To find it, one must solve the clues in a cryptic poem written by Fenn, a kind of literary treasure hunt that has inspired thousands of people to take to the country’s wildernesses and has transformed, consumed and even destroyed lives. In 2016, a man named Randy Bilyeu went missing while searching in northern New Mexico. Since his death, at least three others – some say as many as five – have perished while searching. Bilyeu’s ex-wife blames Fenn for every one of them. “You created a monster,” Linda Bilyeu wrote in an email to Fenn that she shared with the Guardian. She called his treasure a dangerous hoax – but whatever the case, its allure is irresistible. 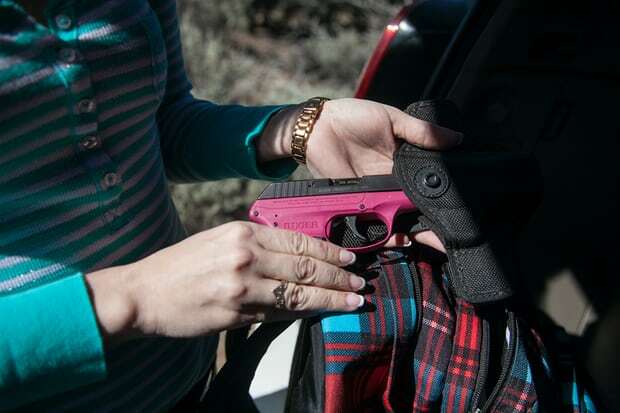 “Something about this gets inside you,” said Johnston as she parked at the base of a ridge and removed her “treasure-hunting backpack”, as she calls it, along with small pink handgun from the back of her SUV. “For protection,” she explained. Johnston began searching in 2015 and has i gone on over 125 trips. Fenn’s Treasure, as it is known, has become a full-time hobby for her, with hours spent poring over maps, researching the history and geography of her search area, and above all trying to decipher Fenn’s poem. She had parked near a small ridge leading to Agua Caliente Canyon, which she believed was referenced in the poem. To cover more ground, she and Napier split up, yelling “Marco”, “Polo” at one another to stay connected. At these moments the hunt had the sweet sincerity of a childhood adventure. “There is nothing else like this,” Johnston said as she scoured the landscape for what the poem described as “rocks with a human touch”. The man behind it all sits in a high-walled study in Santa Fe. It is part office, part treasure-hunting lair, almost every inch covered with artifacts that Fenn acquired during his career as an art and antiquities dealer. On one wall is a large collection of ancestral Puebloan pottery, Apache polychrome baskets and shields. 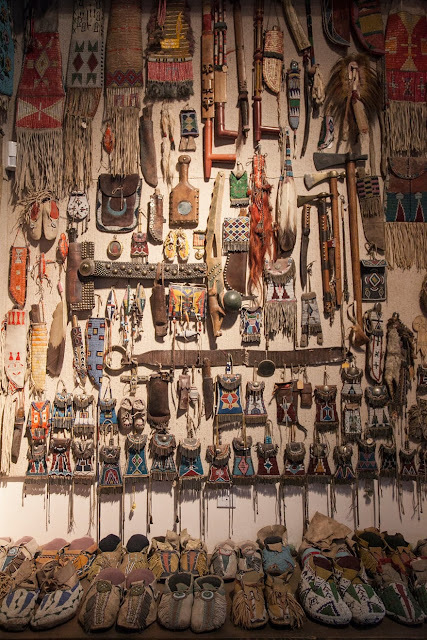 On another are indigenous weapons from numerous Plains Indian tribes, alongside medicine bags and ornate moccasins. Fenn also owns Sitting Bull’s peace pipe, one of his most prized possessions. 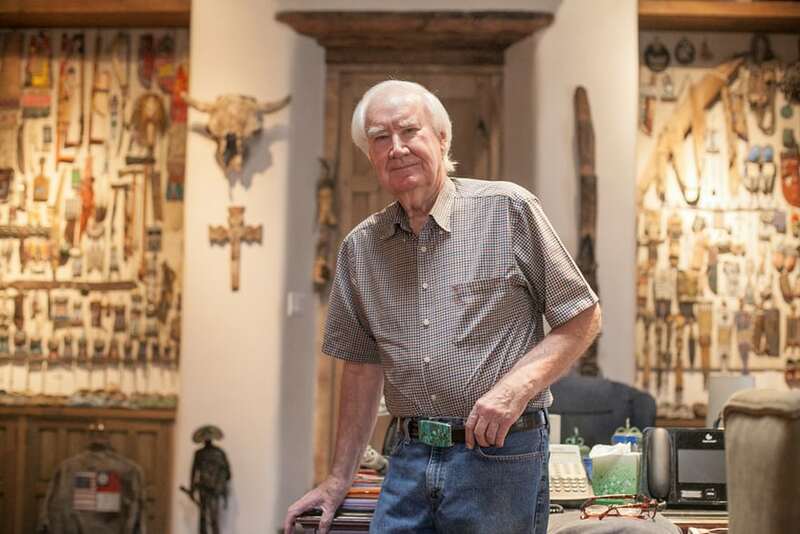 A 20-year veteran of the air force who survived being shot down in Vietnam twice, Fenn moved to Santa Fe in the 1970s and began searching the American south-west for artifacts to both sell and fill his own collection. He gained renown nationally as an Indiana Jones figure, an adventurer and self-taught archaeologist who is said to have made, or claims to have made, sales to Steven Spielberg, Robert Redford, Michael Douglas and other notables. But just as the fictional representation of Jones was criticized by professionals for glorifying irresponsible archaeological practices and even looting, Fenn has faced a backlash. He was criticized for purchasing and excavating the San Lazaro ruin, an ancient pueblo south of Santa Fe, potentially hindering scholarly understanding of its history. 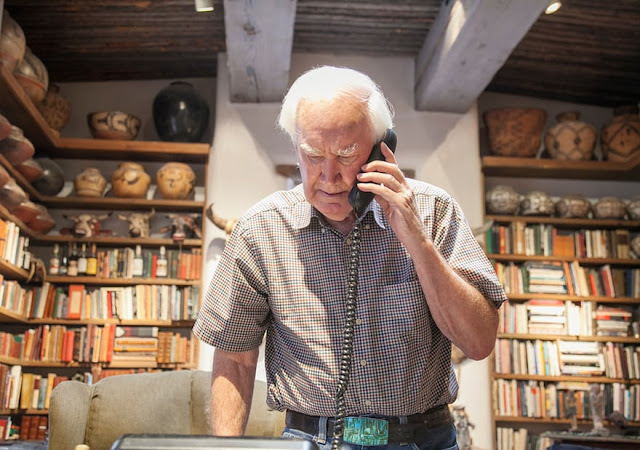 In 2009, federal agents searched Fenn’s home, along with the residences of three other collectors in Santa Fe, looking for artifacts they believed were taken illegally from public lands. Fenn was never charged and denies any allegations of illegal activity. The idea of hiding a treasure came to Fenn in 1988 after he was diagnosed with an aggressive form of kidney cancer. “That changes your perspective on everything,” he said. Thinking he was about to die, he contemplated an ending that sounds cribbed from a movie – like Steven Spielberg’s latest, Ready Player One, in which a wealthy old man leaves a trail of clues to his fortune. Fenn would retreat to the mountains with some of his objects and leave a poem that would, if deciphered, lead to his riches and his bones. Though he survived, the idea persisted. Fenn says he spent years writing and rewriting the poem and painstakingly curating the contents of the treasure. He avers that it contains a miniature version of his memoir, The Thrill of the Chase, and valuables including a bracelet with 200 rubies and sapphires, gold jaguar claws, a 200-year-old necklace made of quartz crystal, and ancient Chinese jade carvings that Fenn says would make someone “just want to cry when you see them”. 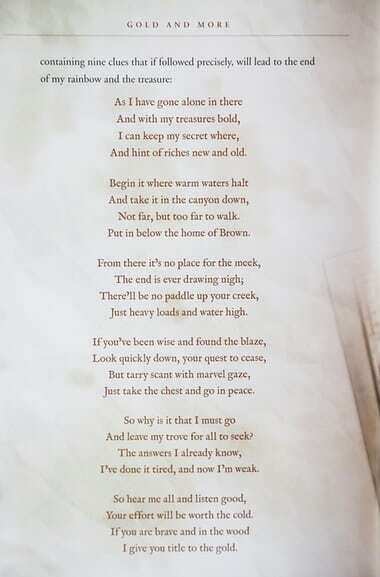 Forrest Fenn’s poem, which he says hints at the location of his treasure. Sometime between 2009 and 2010, Fenn says he hauled the 42lb antique bronze lockbox into the Rockies. The poem came out in 2010, and Fenn says every word is a clue. Interest in the treasure was minimal, according to Fenn, until the inflight magazine of United Airlines published an article about it in 2013. That “changed everything”, and Fenn says he received 1,200 emails the next day. He is proud that the search has led so many people into the outdoors. To friends like Preston, Fenn is a fabulous storyteller and a man with a penchant for mischief. 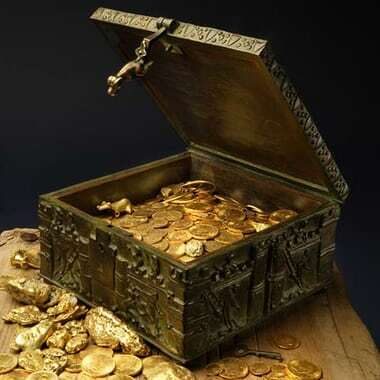 These characteristics, and the absence of any physical evidence of the treasure, have led some skeptics to believe that the treasure itself is a hoax. For others, Fenn’s treasure has endowed their lives with a profound sense of meaning and direction. “We want to imagine ourselves as great explorers, doing bold deeds fearlessly, the like of which aren’t available or feasible in today’s world,” says Chris Hanson, another longtime searcher from Colorado. “Forrest has introduced me to Yellowstone,” said Cynthia Meachum, another devoted treasure searcher who has over 100 trips under her belt and is planning her second trip to Wyoming this summer. “People that have never seen America have now discovered it. While positive stories like these are common, there are also unhappier outcomes of the hunt. “Rangers have initiated 12 cases in response to Forrest Fenn hunters’ distress or illegal actions since 2013,” Jake Frank, of the Yellowstone national park public affairs office, wrote in an email to the Guardian. Randy Bilyeu’s personality “changed drastically” when he began searching for the treasure, said Linda Bilyeu, whose ex-husband moved halfway across the country, from Florida to Colorado, to be closer to his search area. She said he had become “obsessed” with the treasure after he saw Fenn on the Today show. In September 2016, Randy wrote Fenn an email with the line: “I will find your treasure or die trying.” Four months later, he went missing after trying to cross the Rio Grande in a small raft he bought at a sporting goods store. His remains were later found near Taos, New Mexico. In June 2017, an Illinois man named Jeff Murphy fell 500ft to his death while hunting for Fenn’s treasure in Yellowstone national park. That same month, the body of the Colorado pastor Paris Wallace was found near Taos. In July 2017, the body of Eric Ashby from Colorado was discovered in a river in the state. Some in his family believe he was out searching for the treasure when he died. “More will die while trying to find the chest,” Linda Bilyeu said in an email. Asked about the deaths, Fenn replied: “Of course it’s very tragic. But every time you get in a car you put yourself at risk.” He has long stressed that the treasure is not in a dangerous or hard-to-reach place. The treasure has taken its toll, said Fenn. “You know I get beat up a bit,” he explained, referring to the hundreds of emails he receives each day from avid and at times obsessed searchers. There have been death threats, harassment and attempts to break into his home. 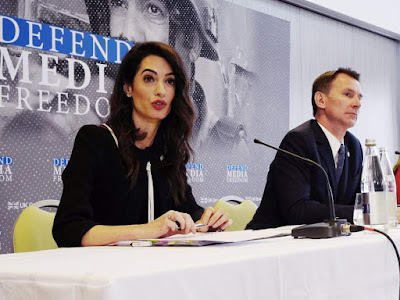 Public events such as book signings now require bodyguards. While the response to the treasure has been intense, it has also been of Fenn’s own making. When he wrote his memoir he included his phone number and email address, and sends emails by the thousands. He periodically weighs in on the treasure hunt and drops clues for searchers: that the treasure can be found between an altitude of 5,000 and 10,000ft, that it is at least eight miles north of Santa Fe, and it is not located in a house, grave, mine or cave. A kind of infatuated cult following has emerged, with innumerable websites, blogs, Facebook pages and message board postings by people who painstakingly deconstruct every aspect of Fenn’s poem, his life and writings. There is now an annual “Fennboree”, a two-day gathering to celebrate all things Forrest Fenn, though this year’s was canceled due to forest fires. He rang again, and again, and by the third call the man began to sob loudly and asked Fenn for a prayer. Fenn obliged. There is a weariness in the voices of the treasure hunters, too.